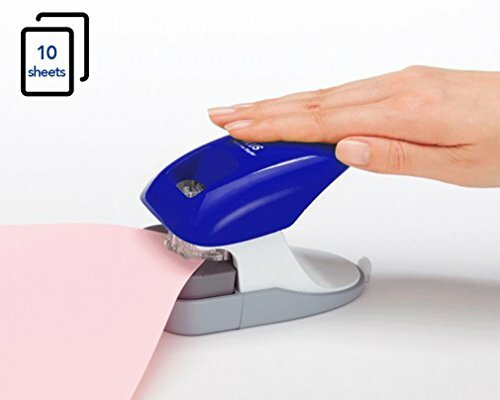 EASY TO USE: The Staple Free Stapler Paper Clinch fastens paper without the use of staples. The Power Assist Mechanism is designed to fasten papers with minimal force. 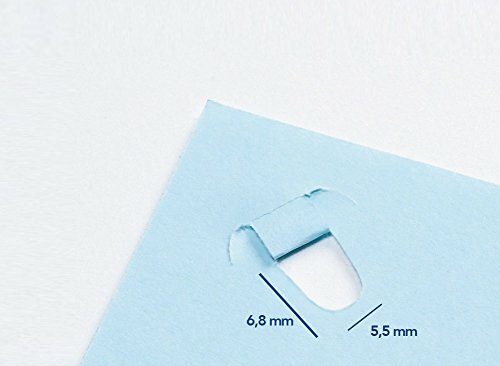 Fasten up to 10 sheets of paper without the use of staples! 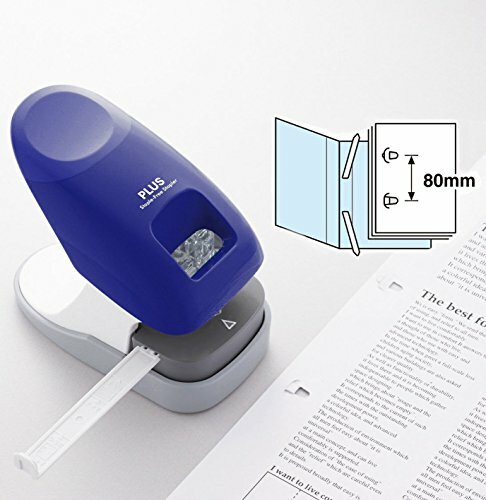 STAPLER & PUNCH IN ONE PRODUCT: Use the supplied gauge to fasten and punch your documents ready for A4 filing. Perfect for every desk in your office! 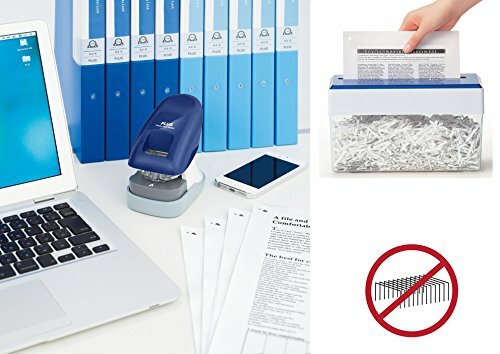 NO MORE STAPLE WORRIES: The Staple Free Stapler Paper Clinch puts an end to your frustration with running out of staples. No need to buy staples anymore! NO MORE JAMMED PAPER SHREDDERS: No need to remove staples before shredding. Easy to shred and recycle papers without the worry of staples getting jammed. Saves the environment and your nerves! 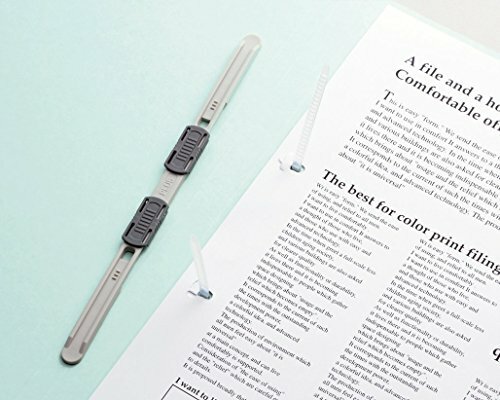 DURABLE MULTI PURPOSE USE: Fasten papers at home, office, work. Works great in kitchens, hospitals and other environments where you wish not to use staples. Child-safe and no risk of injuries from staples! 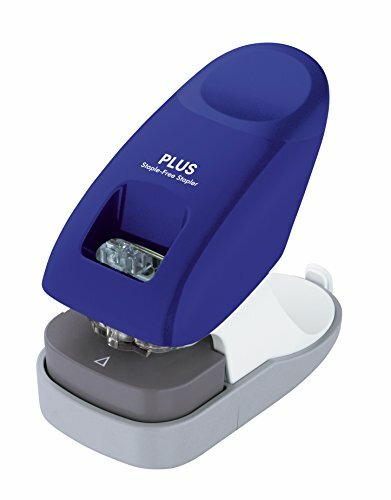 Plus Japana staple free stapler (10 sheets) handles not including weight of clips. Viewing window. Stop Rail for 2 rings. Made from recycled material.Clip loose stapling and punching at the same time. Technology: one from the stapler die cut paper tab will be packed securely by our professional team in a single operation Automatic by an also contrasting slotted head. Thanks to the Kraftunterstüzendem mechanism reduces the effort. Desk model with window for exact filing or holes. Stop Rail for 2 rings. Dimensions (W x H x D) 70 x 110 x 130 mm Features: without pegs cheap to run, no metal lever destruction (without staples * (no risk of injury.